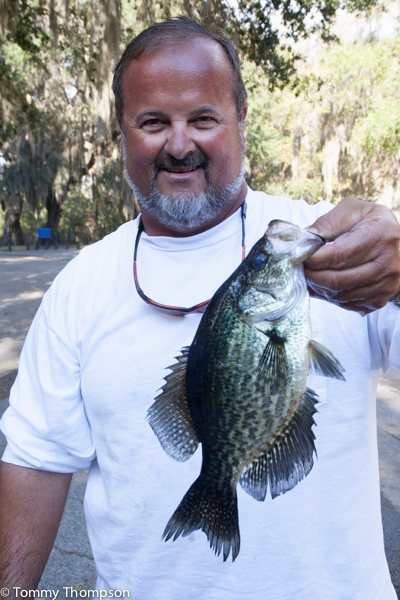 Early Spring Fishing “ON FIRE” in Alachua County Lakes! Freshwater anglers looking for largemouth bass and speckled perch (crappie, specks) don’t have to travel far within North Central Florida to find some amazing fishing, especially in Alachua County. 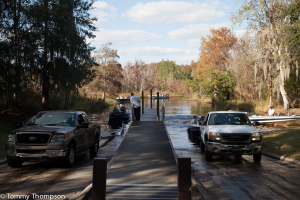 Despite its reputation as a “college town”, Gainesville’s proximity to Newnans, Lochloosa and Santa Fe lakes makes it the perfect jumping-off spot for some terrific freshwater angling. And Gainesville also has one of Florida’s preeminent bass anglers to point the way to the action. Veteran bass angling pro Gary Simpson keeps shop, Mondays through Fridays, at Gary’s Tackle Box on US441, north of town. There, you can always expect good (and honest) advice, as well as find the latest in “what’s catching what” tackle and supplies. Gary’s latest report to me (in early March 2015) is that Santa Fe and Lochloosa lakes are providing lots of big bass action. And while the bite’s been off at Newnans, there’s still a chance it will turn on before the end of the month. 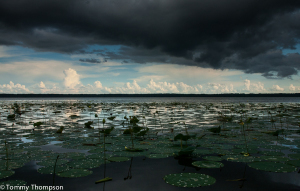 Or, if you’re after specks, try Orange Lake, connected by famous Cross Creek and shared by Alachua and Marion counties. Remember, too, that Gary writes a weekly fishing report that appears in the Sports Section of every Friday’s Gainesville Sun. Reading it will really keep you up to date! Cross Creek connects Lochloosa and Orange lakes. 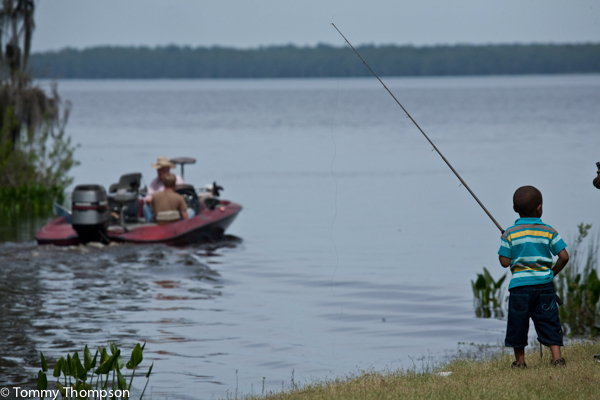 Newnans Lake (5,800 acres), designated as a Fish Management Area, is located about two miles east of Gainesville on Highway 20. The lake is surrounded by cypress trees that provide good angling when water levels are high. Sparse areas of emergent grasses, bulrush, and spatterdock (water lilies) are found around the shoreline of Newnans Lake. 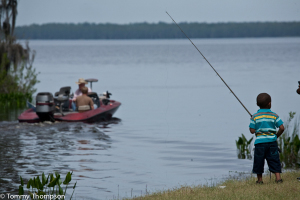 The most consistent fisheries on Newnans Lake are catfish and bream, and these can be caught year-round in deeper areas of the lake and the lake shoreline, respectively. 5850-acre Lake Santa Fe has a “little” northern area and a “big” southern arm connected by “the pass” where shad school and fishing is usually good for schooling largemouth and stocked sunshine bass. Numerous homes surround the lake, most with docks and ski boats; fishing is always best early and late or at night and on weekdays. 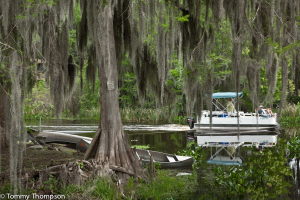 In spite of development, the fish habitat is outstanding with many areas of cypress and healthy maidencane grass beds. Local contact: Chappini’s Bait & Tackle 352-475-9496.